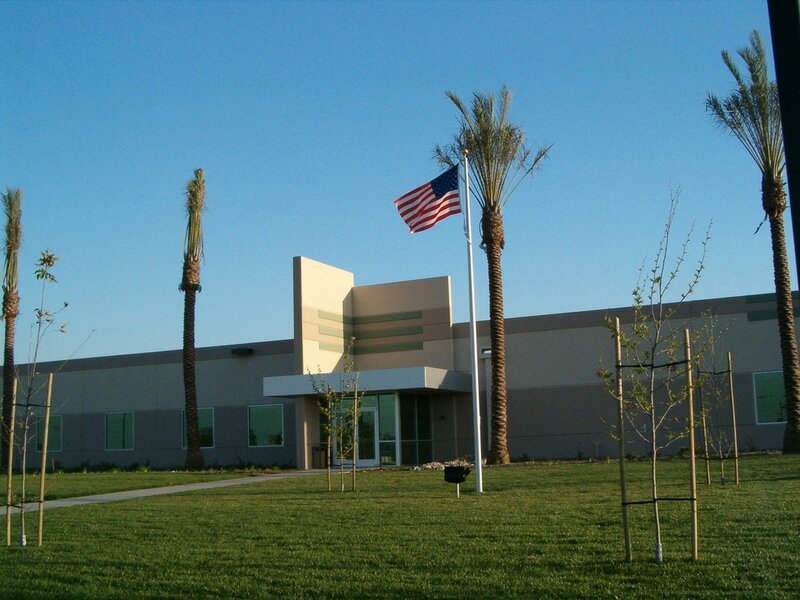 The design/build 183,000 square foot building has a Class 'A' office space along with 850,000 cubic feet of storage area that serves as NARA’s Pacific Region Storage Facility. This building is equipped with the most state-of-the art archival and records management building systems. The ESFR fire system delivers 0.3 GPM per square foot to the most remote 1,500 square feet, and is independently certified to not allow destruction of more than 300 records in the event of a fire (in a facility of over one million records). Building systems include a “smart” security/access control/intrusion detection system, on-site emergency power generation, super-flat floor, and HVAC with humidity control and gas-phase filtration. Building amenities for the occupants include an exterior lunch patio with shaded canopy, palm tree-lined driveway, extensive use of interior glass for day light, individual HVAC control, indoor air quality monitoring, fiber connectivity, and low-VOC materials. Although the facility is leased for 20 years, the building and its systems are built to last 50 years due to the chance of damage or loss to archival records during relocation.